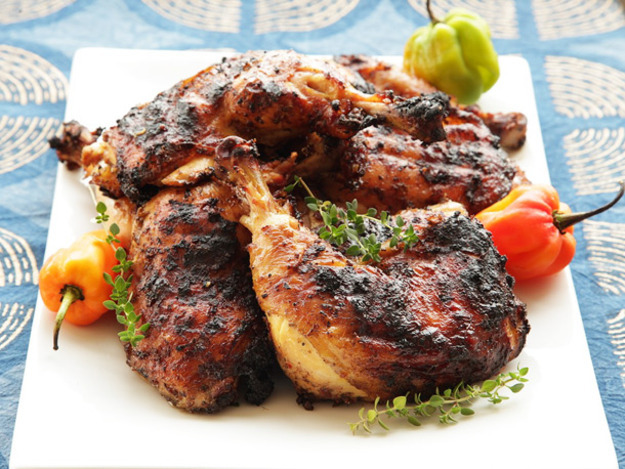 Having just got back from a great trip to Jamaica (highly recommend it this time of the year) and having lunch every day that consisted of Jerk chicken from the 'Jerk Chicken Shack' on the beach I thought it only be best to a recipe representing that lunch out for Friday Food. I hope it turns out as good as it was down on the island. Enjoy. Coat chicken completely with Jerk seasoning. Lay it on thick. Set the timer for 45 minutes. Add a bit more water or stock if needed during the cooking time.